Controlling a robot from a remote location is easier than you think. Combine RobotBASIC and the RobotBASIC Robot Operating System (RROS) on a chip to get a jump on complex programming for your robot chassis. RobotBASIC is a fun and powerful programming language that can really reduce your robot development time. Teach the Magician robot arm how to stack a deck of cards. If you've ever wanted a quality robot arm or a 3D printer, you should really consider the Dobot Magician. Its accuracy and easy-to-change end effectors give it multiple personalities that can easily satisfy a variety of needs. Discover some concepts to help you develop an internal self-testing program for your mechatron. 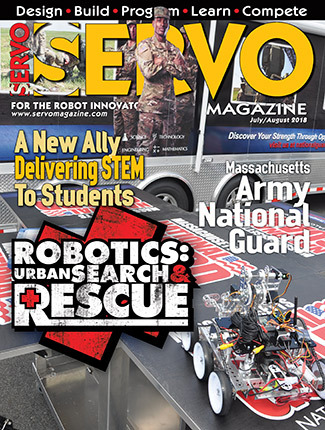 Hobbyists new to robotics don’t always understand the need for sensors, and why programming skills are essential for obtaining and utilizing sensor data. The goal of most robot hobbyists is to create a robot capable of doing something that demonstrates some degree of intelligence. Sometimes though, a robot just needs to look intelligent. 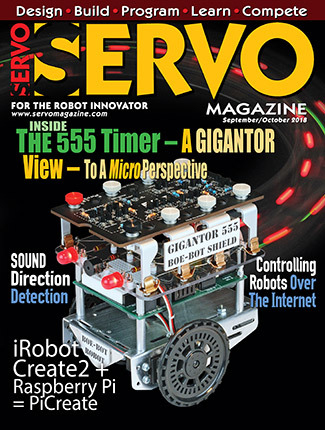 Understand how sensors like accelerometers and gyroscopes work when building balancing robots. Explore ways of letting a robot learn by applying techniques used by animals. Understanding the limitations and advantages of various choices of perimeter sensing can help improve the functionality of your robot. In this final installment, see how Arlo’s arms and turret can be controlled through a second instance of RobotBASIC running in the background to truly make this the robot of your dreams. Part 3 explains how to program navigation behaviors, so your robot can make it from Point A to Point B without crashing. Part 2 discusses the electronics required to control the motors and communicate with sensors. Would you prefer a robot with some human-like features and capabilities? Well, this new series will show you how to build the robot you’ve always wanted at a price you can afford. We’ll begin with the physical construction. Modular assemblies are making it easier than ever to construct robots. Discover an alternate method for teaching a robot to predict the flight path of a ball. In this final installment, bestow some personality to your tablet-controlled robot by giving it a voice. This time, explore programming a robot to navigate to a general destination using GPS and compass readings, and then once there, use images from the tablet’s camera to find an object of a specific color. Learn how to integrate the tablet’s sensors by first using it as a steering wheel, then taking advantage of the tablet’s compass to maintain a robot’s heading. If you are willing to accept a few limitations, there are expansion options that can provide both convenience and power beyond what standard Arduino shields offer. Building a robot from scratch can be a daunting task for both beginning and advanced hobbyists. The newly available RobotBASIC ROS on a Chip makes the whole process easier and faster by providing a physical interface from simulations to the real deal. Last time, we looked at how virtual sensor techniques work. This time, we do the same for virtual motor interfaces. In order for your robot to perform properly, it needs as much sensory data as possible. 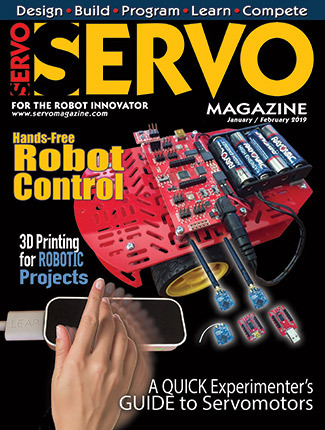 Unfortunately, physically increasing the number of sensors on your bot has potential problems. So, go virtual before completing your design. Put a new spin on your robot base with omni or mecanum style wheels. 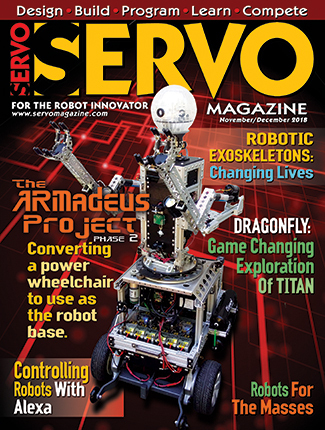 For many hobbyists, giving their robot the gift of sight is one of their ultimate goals. RoboRealm is an application that can make adding vision painless by providing easy-to-use modules. LEGO makes building robots easier, and now programming a LEGO NXT can be just as easy. Learn about the open-source LegoLibrary.bas. Explore advanced behaviors in robotic commercial products through simulation. Many industries successfully use the “simulate then deploy” principle. Apply it to your next robot build and you’ll soon see the advantages to this technique. This article is an excellent demonstration for how the parallel processing abilities of the Propeller chip from Parallax can be utilized in conjunction with RobotBASIC to achieve robotics projects that involve diverse and multifaceted elements that require simultaneous use of numerous microcontrollers along with a PC. This realistic simulator lets you experiment with walking algorithms without destroying your bot in the process. Simulate mechanical systems to streamline the designing process.